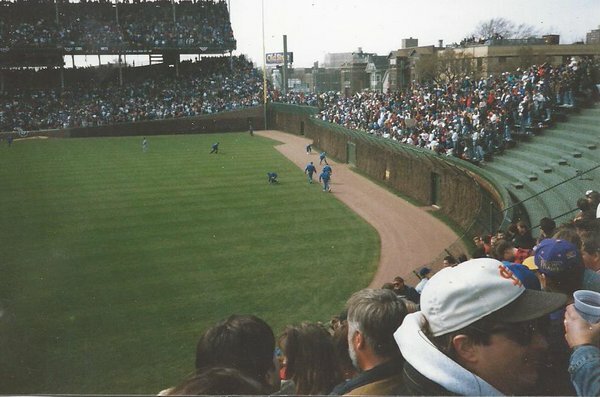 This was Opening Day in 1994 in Chicago when Tuffy Rhodes homered three times. The wait is completely over. Today is the last day until October that there is no real baseball. Your fantasy drafts should all be done. Your life may have troubles but they’ll seem a little less troublesome come tomorrow (and especially Monday). It’s baseball time. The wait is over. We’ve made it. The season is upon us. We will have a ton of posts going up the next few days. Then activity will probably dwindle and tail off a little as always but we’ll be around. Enjoy the Final Four tonight but really it’s just a warm up of the next seven months and what is to come. Enjoy your Saturday! No 80’s song of the week today. We need to start saving them up for the regular season.